St. Michael's Hospital launched its first Syrian refugee clinic today at the Health Centre at 80 Bond St., one of its Family Health Team locations. St. Michael's Hospital launched its first Syrian refugee clinic today, becoming the largest clinic in the GTA to open its doors to the newcomers. The hospital plans to hold clinics dedicated to Syrian refugees once a month, but it's ready to increase that number when they start to come in larger numbers in the next few months. Each clinic is expected to see up to 30 patients per week and each visit could last about 45 minutes. 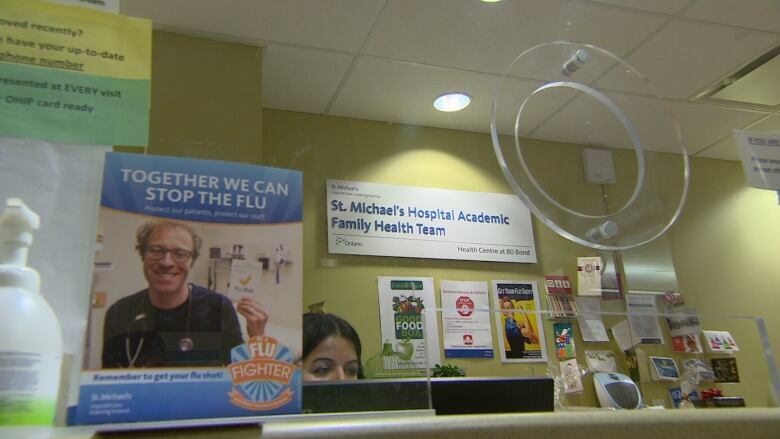 "We're ready to go five days a week if we need," said Dr. Philip Berger, a family doctor with St. Michael's Hospital who is assigned to the clinic. Physicians like Berger will be dealing with immediate needs such as managing any injuries and traumas, but also addressing chronic illnesses that may have gone untreated. If patients need more specialized medicine, they will be able to access St. Michael's pediatricians, vascular surgeons and other specialists. "There may be people who come here with war-related, bombing-related injuries, amputated limbs that need prosthesis, unattended broken bones that never got fixed properly," said Berger. For Syrian children the focus will be on dental care and assessing vaccinations. "First of all for the kids to make sure they have their immunizations all to date. They need it to get into the school system. Secondly, to attend to, and decipher chronic illnesses that may have been neglected for years," said Berger. About 3,900 of the 10,000 Syrian refugees the federal government committed to bringing to Canada by the end of 2015 have now arrived. Women's College Hospital initiated the idea to open dedicated Syrian refugee clinics. St Michael's clinic is among the two dozen GTA clinics and hospitals opening its doors to Syrian refugees. Future clinics held by St. Michael's will be located at the St. James Town Health Centre. Here's a full list of locations and dates of clinics offered across the GTA.